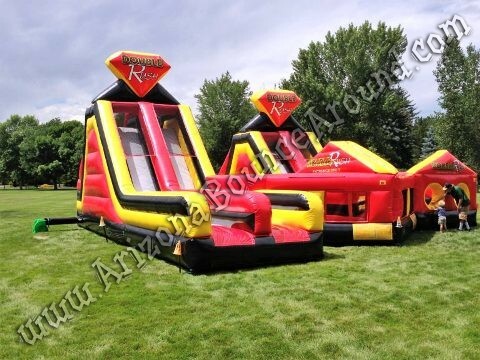 Our Double Rush Obstacle Course is a massive Inflatable featuring 4 slides and plenty of action inside. 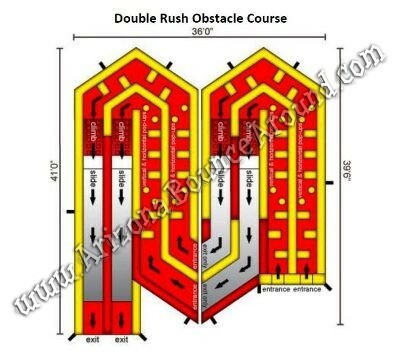 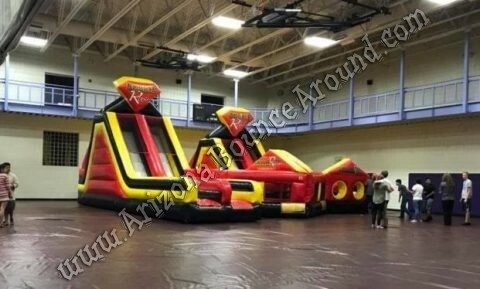 This is a great obstacle course for Ninja Warrior Challenges, family events, school carnivals or anyone needing a big obstacle course. 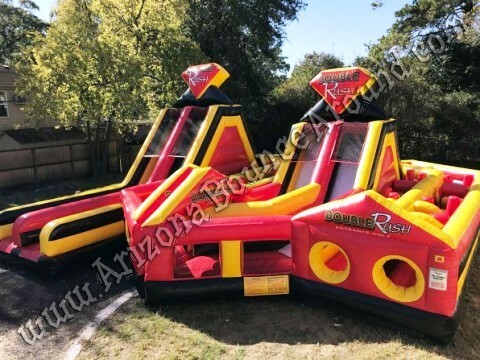 Its great for kids 3 and up and also great for teens and adults so rent one for your next party or event. 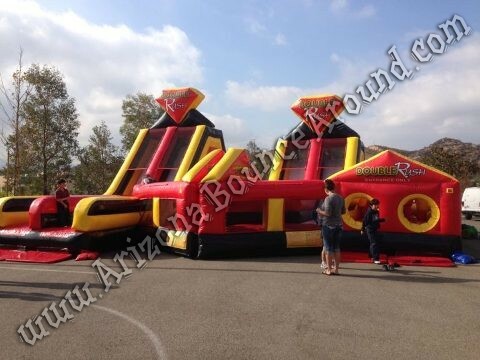 We have the best selection of big obstacle courses in Arizona. 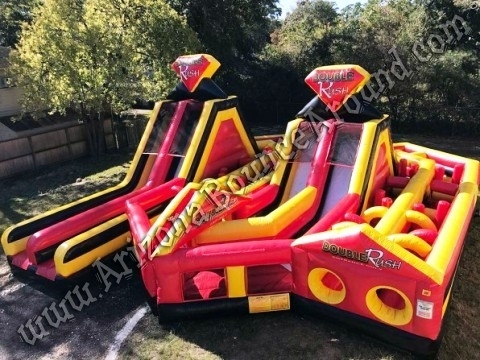 We also have a great selection of Inflatable games and challenges to fit any theme or event type.